So—you’re considering recycling your ride or buying used auto parts. In the words of the immortal Mr. Burns…”excellent”. If you’re in the Stirling area, then you’ve come to the right place for both auto recycling and used auto parts—Woodbecks. Woodbecks is your local source for recycle auto options—and staying local truly is important. Staying local when buying used auto parts is critical as you don’t want to be driving halfway across the province for parts. You also want them to be local so that if you encounter any issues with them you can easily return them. Finding a convenient, local source when recycling your ride is also important, as you’ll have to drive—or tow—the car into the centre and then head home, on your own (which is a little harder to do for far-flung auto recyclers). Our experience and knowledge of cars makes us the best of the best of the best. This means that you get the right part—every single time. You also have knowledgable people to support you throughout your repair job, and your car’s lifespan. 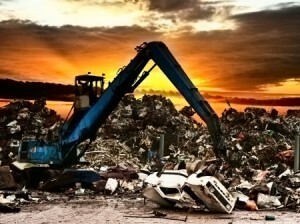 Auto recycling keeps cars, their parts and their fluids out of our landfills. Recycling your ride also keeps a number of people in Stirling gainfully employed. So, recycling your ride with us offers you the opportunity to help our environment and community. When you stay local for parts you save on the commute to pick up the part (think about the current cost of gas) or you save the expensive shipping of the heavy part. You also save a gas bill driving your car to a far-off salvage yard—and even more money stays in your pocket if you avoid an expensive tow. When you buy used parts you save between 35% to 75% off the cost of the OEM part…and that’s some serious savings. When you recycle your ride with us we arrange a convenient time to bring your scrap car on in, based on your availability. When you need a used auto part—we likely have it in stock and available for immediate pick up, thanks to our large warehouse and the large amount of cars and parts we process every year. So, when you’re thinking about you best source for used auto parts and/or a place to recycle your ride—remember that your best local source in Stirling is Woodbecks.